The School of Computer Science are delighted to welcome Dr Oana Andrei, from the University of Glasgow, to give her talk on Probabilistic Formal Analysis of App Usage to Inform Redesign. Abstract: Good design of mobile apps is challenging because users are seldom homogeneous or predictable in the ways they navigate around and use the functionality presented to them. Recently we set out a process of app analysis intended to support understanding of use but also redesign using probabilistic model checking. In this talk I will show how to infer admixture models of activity patterns from various time cuts of app usage logs, characterise the activity patterns by probabilistic temporal logic properties using model checking, and compare the admixture models longitudinally and structurally. I will illustrate this work via a case study of a mobile app presenting analytic findings and discussing how they are feeding into redesign. We had posited that two activity patterns indicated two separable sets of users, each of which might benefit from a differently tailored app version, but our subsequent analysis detailed users’ interleaving of activity patterns over time – evidence speaking more in favour of redesign that supports each pattern in an integrated way. We uncover patterns consisting of brief glances at particular data and recommend them as possible candidates for new design work on widget extensions: small displays available while users use other apps. 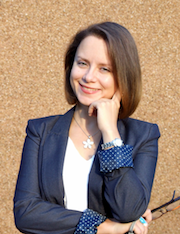 Bio: Oana Andrei is a Research Fellow at the School of Computing Science, University of Glasgow. Her research interests involve fundamental aspects of theoretical computer science, mainly formal modelling and analysis of concurrent and stochastic systems. The applications I study concern mobile app analytics, vehicular networks, sensor systems, biochemical networks, and autonomic computing.